It is not its fault! But ours. We search for the emergency lamp only when power fails frequently. Otherwise it will be a dust depositor somewhere. To make the emergency lamp in good condition, proper care is needed. The emergency lamp battery is SMF (Sealed Maintenance Free) type and need not require water topping and can be placed in any position. It is rated 6 volts @ 4.5 Ah backup current. The electrolyte of most SMF battery is a gel of Sulphuric acid mixed with Silica fume which makes the resulting mass gel like and immobile. This gel electrolyte reduces the electrolyte evaporation, spillage etc. One important feature of Gel battery is that the lead plates contain Calcium instead of Antimony to reduce water loss. Because of the presence of calcium, the gel battery charges very slowly compared to other batteries. Another important feature is its thermal sensitivity so the battery is vulnerable to thermal run away due to abusive charging. Over charging leads to its premature failure. 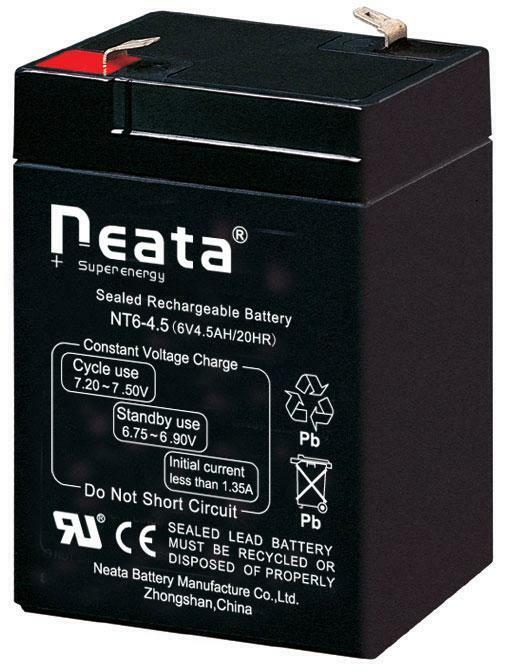 The Emergency lamp battery requires equal charge and discharge cycle. That is, it should be charged and discharged daily or once in two days. If it is always plugged in for charging, overcharging occurs leading to its permanent damage. If the battery is kept without charging for few days, self discharge takes place and the battery develops Memory Effect so that it will not charge fully. Deep discharge is another problem that can affect battery life. When the emergency lamp is kept switched on till it completely shut down, two adverse effects happen. The battery will not charge fully in recharging and the ends of tubes turn black due to filament damage. So it is better to switch off the lamp, when its light intensity drops.